You’re in Far West Texas, but far from stranded. 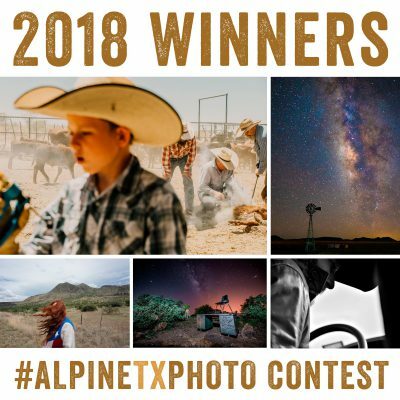 Alpine is a living, breathing oasis in the desert where you’ll find the perfect spot for an afternoon coffee break, plenty of unique shopping, movies, dining, nightlife and hotels and guest houses where to rest your head for tomorrow’s journeys. This is the bustling town at the center of everything Big Bend. 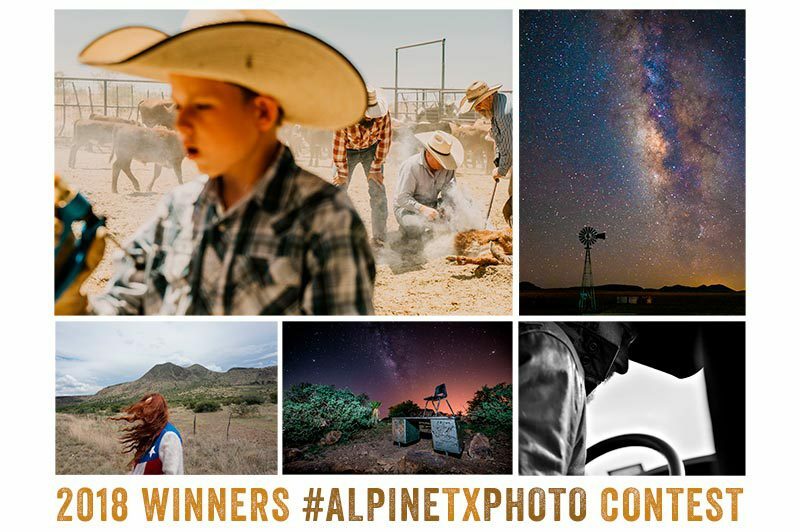 The City of Alpine is pleased to announce the Winners of the 2018 #AlpineTXPhoto Contest!